Styles By Sheba: HAPPY FOURTH OF JULY!!! 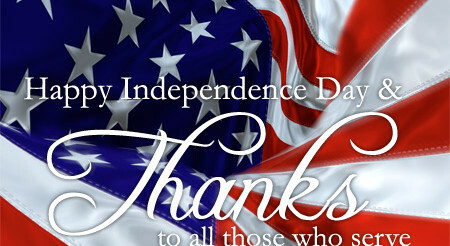 I would like to take a moment to wish you all a safe and Happy Independence Day! All military, veterans and first responders, please enjoy a 25% discount (up to $50.00) off any full price service. Cannot be combined with any other specials/discounts and does not go towards mobile fees. Must present valid and current ID. Valid on appointments scheduled and completed by 7/31/16. All appointments must be scheduled online at http://stylesbysheba.genbook.com. Thank you all for your continued support. Enjoy your holiday and please be safe, from my family to yours! Styles By Sheba will not be open July 3-7, 2016. Normal business hours will resume Friday July 8, 2016.